Speaking at the weekend, F1 boss Chase Carey, once again made clear that the biggest difference between his style of management and that of his predecessor, Bernie Ecclestone, is that the Briton took a dictatorial approach, by definition dictating what was and what wasn't allowed. Thus far, much of Carey's decision making has been of the minor details, the truly difficult battles of will over the engine rules, prize money and bonuses still to come. Another issue which still has to be cleared up is the ongoing debate over whether Racing Point Force India, the team that emerged phoenix-like from the ashes of Force India after Lawrence Stroll's consortium bought it for £90m, is entitled to prize money from the get-go or, as a brand new team, not be entitled to prize money for the first two seasons. While, under a certain amount of pressure from Carey and fellow F1 bosses, some teams have agreed to Racing Point receiving the money, others, most notably Haas, are standing firm, insisting that as a new team Racing Point is not entitled to it. 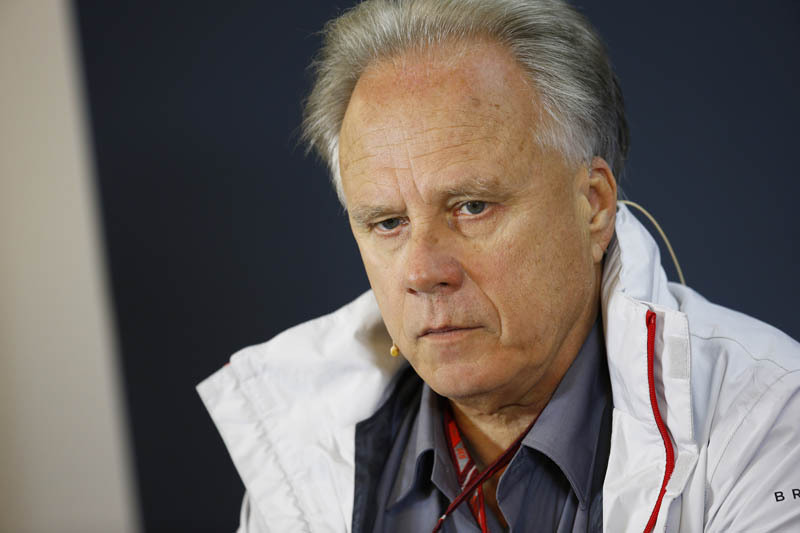 Gene Haas has made it clear that his belief has not wavered. "From the standpoint of being a participant in Formula 1, we're just looking for an even enforcement of the rules," he said. "Like the stewards in a race they have to be non-judgmental and they have to enforce the rules in front of them and every team expects those to be evenly enforced, and our argument with Force India is: is it a new team or a continuation of an existing team, and that's really where the stumbling block is. "We went through the process of becoming a new team," he continued. "We abided by the rules. The big one is the two-out-of-three-year rule and our argument is that if we had to go through that process we feel that with Racing Point if it's a new team then it really should have to go through the same process we went through. "The question for FOM is: is it a new team or the continuation of an existing team. We think it's pretty obvious to us it's a new team and therefore should have the rules applied as per the Concorde Agreement." "Take a step back," said Zak Brown, "(we're) obviously very happy that a Formula 1 team continues in business, that's good for the sport, but what it did highlight were some of the governance issues and inconsistencies in the sport that need to be tackled moving forward. "So I hope that what we do is we learn by this event and other events and not have things be chaotic, as it kind of was. There were different waivers flying around and it was in and it was out, it's a new team, it's not, and I think more than anything the sport needs to learn by some of these holes and get a better governance system in place." "Williams has signed the waiver that everybody knows about that would see Force India receive their prize money payments," said Claire Williams, her team, more than most, alleged to have benefited from Lawrence Stroll's purchase of its Silverstone-based rival. "We're happy with that. "From our perspective, the team is operating as it did prior to Lawrence buying it, acquiring it, and so we don't necessarily consider it to be a new team, as such. "I believe there are still some issues that need to be ironed our behind the scenes with FOM and the FIA. We'll wait to see what happens." "Haas got the smelly end of the stick on this deal. they are what F1 needs right now... NEW blood. they should be invited with open arms and the ability to share in prize money from the very start, and any new time going forward too. The fact that Force India was being run by a crooked shiester should be reason enough for FA to be asked to leave the fold until such time as they've fired the gangsters. " "This is simple asset management/transfer of ownership. If you buy property or a business you are agreeing to take on the associated debt, and assume ownership of all intellectual property, licenses, materials, personnel contracts, etc, as well as any winnings awarded and future winnings. That is the way it goes. If I buy a property and later find there is oil or hidden treasure that I didn't know about, am I not entitled to that as well?" "Why on earth are Liberty trying to make Haas the enemy in all of this? Haas had nothing what so ever to do with Force India being run into the ground. Haas have every right, on this point, to stand by their beliefs. As I have said on several other occasions, if the people who purchased what was Force India had also purchased that teams existing F1 entry then none of this would have been a issue." "That bit in SiFi movies where they share oxygen masks... with these guys you’re to die. "